This recipe was a happy outcome of an experiment gone wrong. I was attempting to make goat cheese filled roasted peppers, but the peppers kept falling apart. So instead I decided to blend the cheese and pepper and spread the mixture on toasts. 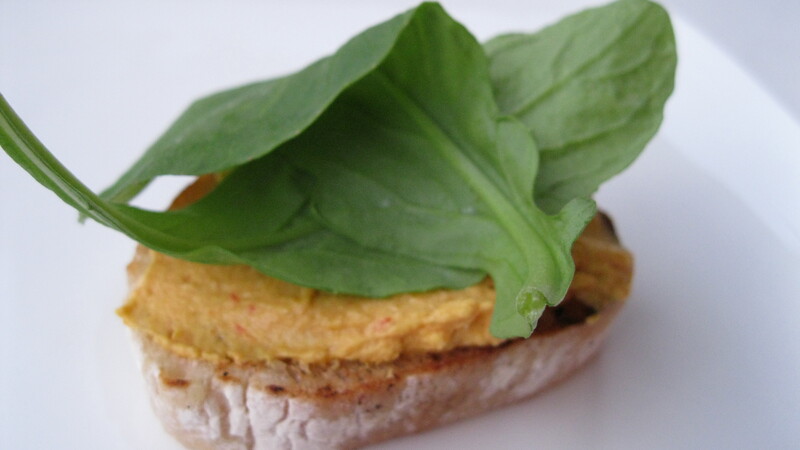 The result is a delicious, summery appetizer. Bring a cast iron skillet to medium heat. Brush one side of each slice of bread with olive oil. Place the oiled side of the bread down in the skillet. Press down on the bread so that the surface is pressed against the pan. Remove the bread once toasted. Put the oil in a large metal pan. Put peppers in pan. Bake in oven for 30 minutes, turning the peppers ever 10 minutes or so. Remove peppers from oven. Place in a bowl and cover with plastic wrap. Let sit for 15 minutes. Peel and seed peppers. 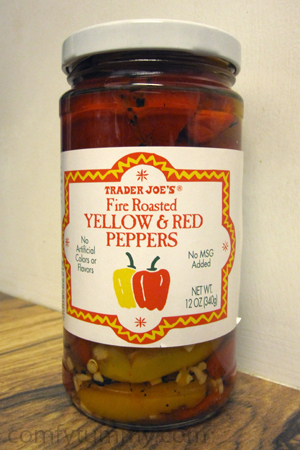 If you don’t want to roast the peppers, you can also used the jarred peppers. Just drain the water from the peppers. Put in blender with goat cheese.